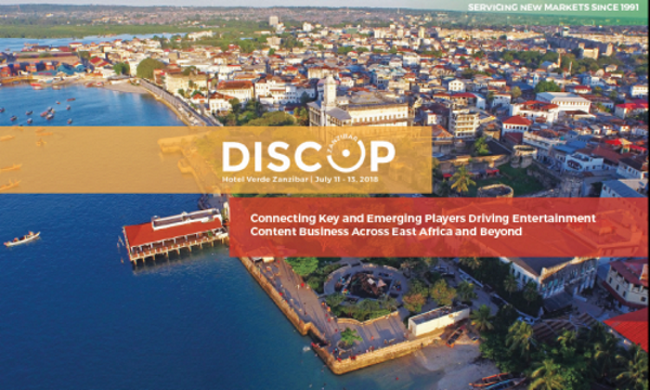 The inaugural DISCOP Zanzibar is set to take place from 11 to 13 July, at the brand new and 100 per cent green VERDE HOTEL, champion of sustainable development and located two kilometres from Stone Town. With two weeks left before the opening, 235+ delegates are already pre-registered for this new ‘micro-market’ including 75+ acquisition and programming executives representing 63 new and upcoming broadcasters and pay-TV operators servicing Eastern Africa. These include the Rwanda Broadcasting Agency (Rwanda), Zanzibar Broadcaster Corporation (Tanzania), NTA (Nigeria), GBC, NET2 TELEVISION and IFN TV (Ghana), Swazi TV (Swaziland), STV SPECTRUM (Cameroon), MUVI TELEVISION (Zambia), DEEN TV (South Africa), LUNTHA TV (Malawi), DRTV (Congo Brazzaville) as well as more established companies from the region such as AZAM TV, ITV, CITIZEN TV, FAMILY TV, KTN, NBS TV. Streaming platforms with a strong focus on the African marketplace such as IFLIX, SHOWMAX, IROKO and ARCADIA MOBILE will also be attending the three-day market. 120+ independent film, television, digital and video gaming content producers and distributors will also be present at DISCOP Zanzibar to run parallel to the well established Zanzibar International Film Market. These young creators and entrepreneurs will be invited to take part in the ‘Next Gen’ knowledge-transfer, development and pitching programme. This sidebar programme running alongside the market and open to all participants, will address strategic issues regarding the development of a sustainable audio-visual ecosystem meeting the demands and means of Africa, the world’s fastest growing entertainment and media marketplace. As part of this programme, The Africa Channel (TAC), will present ‘It’s Time For Africa | Creating & Producing for a Global Market’, a discussion to be moderated by Brendan Gabriel, VP Production & Creative Development, TAC, with a special focus on practical tips tailored for producers who want to sell their content globally. The ‘Next Gen’ programme will feature three distinct programme tracks respectively focusing on regional co-production opportunities, the growing importance of video gaming content and the strategic value of original music to better accompany video entertainment content across the world. Additionally, DISCOP Zanzibar will put the spotlight on Ethiopia with a special panel on The History and Future of Ethiopian Media; a journey through the last 30 years of broadcast media in Ethiopia. Experts look at state monopoly on broadcasting and the birth of new radio and TV stations, censorship of the media space, how the internet has changed access to information, the rise of new radio and TV stations and the type of content they are focusing on. Women of Influence will also be in the spotlight at DISCOP Zanzibar with a panel discussion in partnership with the Ladima Foundation. The discussion will be an inspiring session on how to achieve influence and share it with the next generation. 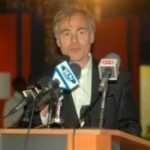 Patrick Zuchowicki Jucaud, DISCOP Patrick Zuchowicki Jucaud founded the DISCOP markets in 1991. DISCOP markets facilitate content production and distribution business in fast-growing marketplaces where the entertainment and media sectors are fueled by young demographics, fast adoption of new technologies, rising disposable income and the popularity and abundance of content from different cultural backgrounds.